Super fresh and easy! 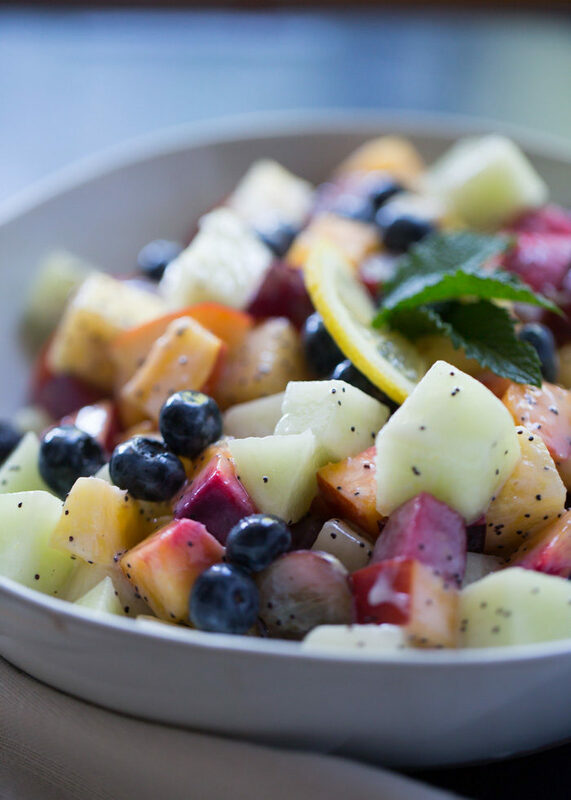 Juicy summer fruits tossed in a zingy, lemony, dairy-free yogurt dressing. Probably stating the obvious here, but since I’ve given up dairy, there are two foods I really, especially, miss. The first, of course, is cheese. The second? Yogurt! Oh man, I used to eat yogurt daily. 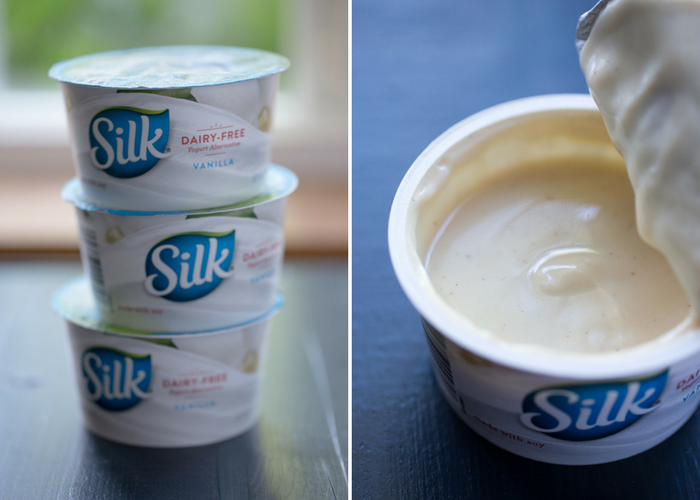 So I was pretty excited work with Silk® again, this time creating a recipe using Silk Almondmilk Yogurt Alternative. It’s made with almond butter and just a handful of other ingredients. It tastes great, is silky smooth, and comes in all kinds of flavors like vanilla, strawberry, and peach. Each flavor sports 5-6 grams of protein. Basically it’s a win all around. Back in my yogurt heyday, I used to love making fruit salads with creamy yogurt-based dressings. 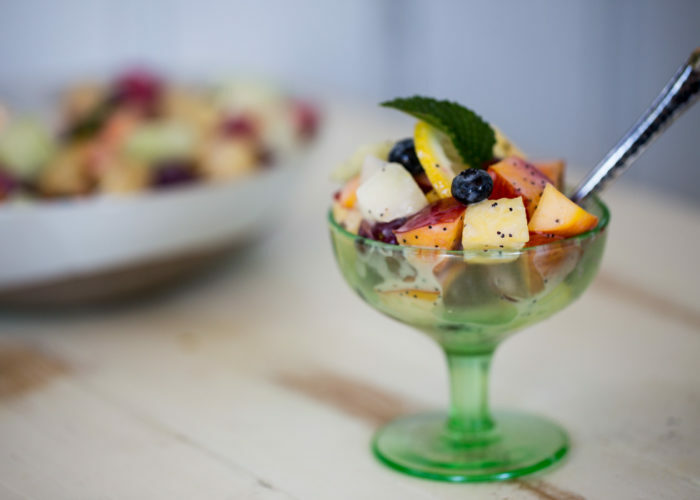 So once Silk Almondmilk Yogurt Alternative was in my life, it was time to create a new fruit salad recipe. Stat. 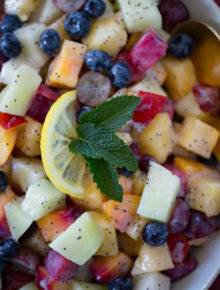 I thought a few summery fruits tossed in a light, citrusy dressing would be perfect for the season … and for some reason, I’ve been into poppyseeds lately – especially the lemon poppyseed combo. Just as I suspected. YUM. 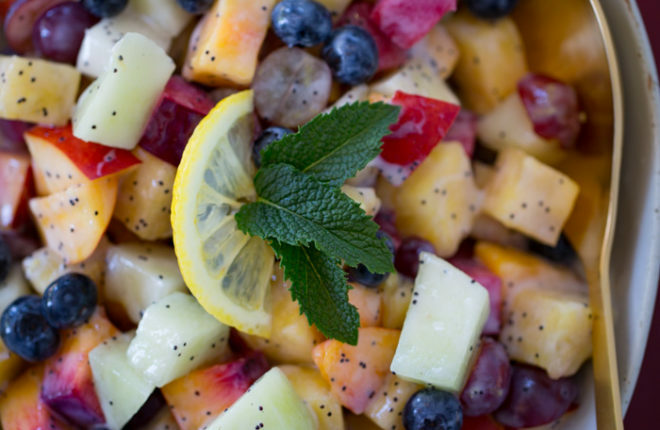 Then, I tossed in a bunch of fresh fruit, and yep. So good. Oh yogurt, I missed you. 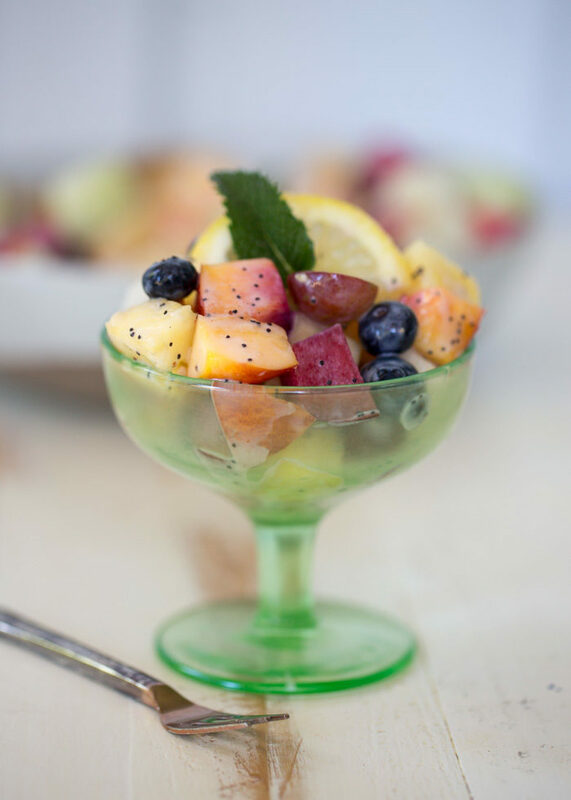 You can enjoy Silk Almondmilk Yogurt Alternative straight out of the carton, layered in breakfast parfaits, whipped into creamy smoothies, and of course in this summery fruit salad. Yay for yogurt! 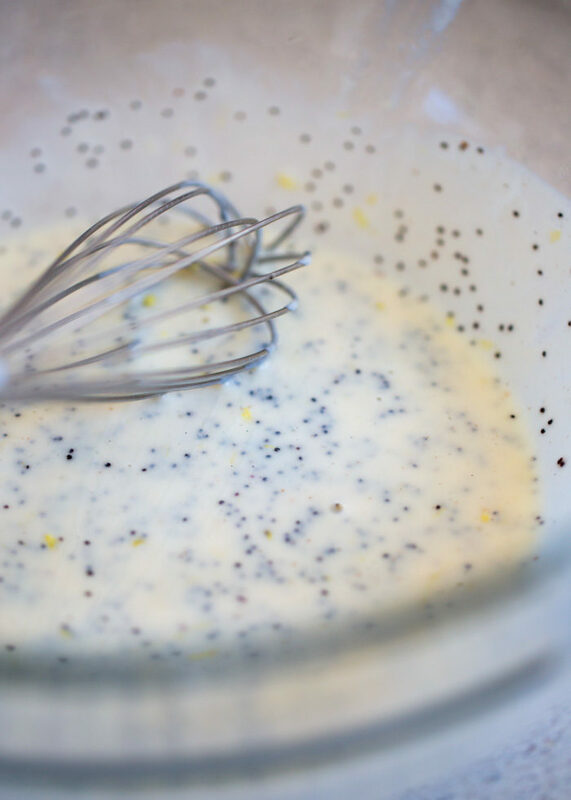 In a medium bowl, add the yogurt, lemon zest, lemon juice, and poppyseeds. Stir with a whisk to combine. 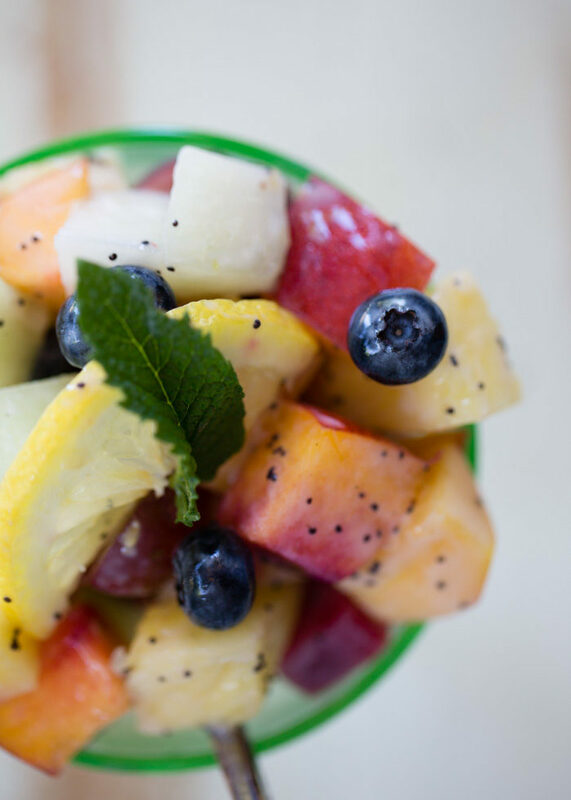 Add the fruit. 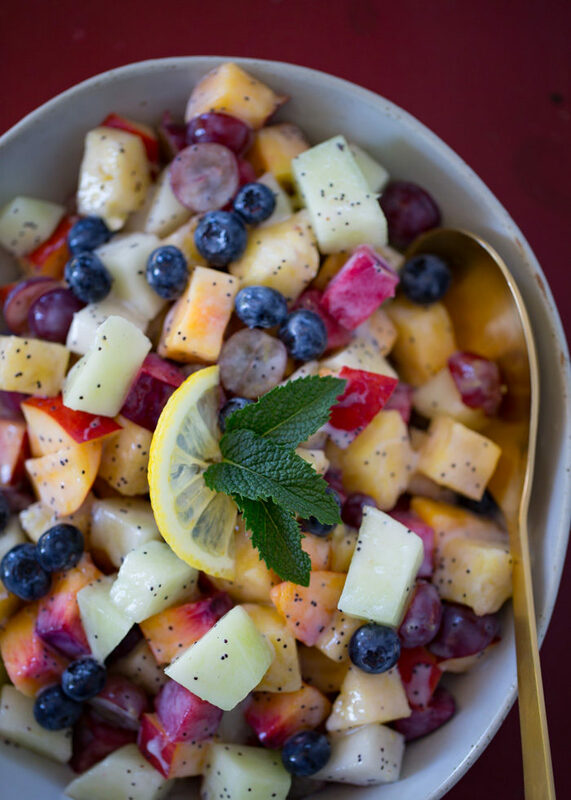 Toss gently with a spatula to coat the fruit with the yogurt dressing. Pour into your serving bowl and garnish with a couple of lemon slices and a few fresh mint leaves if desired. Serve. This is a sponsored recipe and blog post developed and written by me in partnership with Silk, a brand I love. Thank you for supporting the companies who support Kitchen Treaty. Please note that any comments submitted may be displayed on other websites owned by the sponsoring brand. Use Silk’s store locator to find Silk Almond Dairy Free Yogurt Alternative in your area. Better yet, bring a coupon! Visit https://silk.com/spoonfulofsilk to get yours.